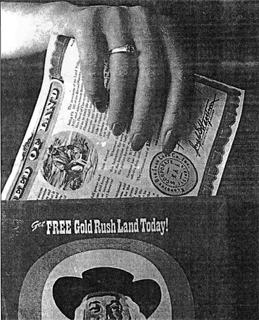 At the time, Quaker Oats had a radio show called “Mountie in the Yukon”, and after struggling to find a way to promote Quaker Oats, they came up with the perfect idea…every box of Quaker oats would contain a deed for a piece of land where the fictional show took place. Apparently, it was one of the most successful sales promotions in North American business history, all of the boxes (containing deeds) were sold within weeks. Unfortunately, the deeds were never formally registered, and as a result, no one ever actually owned the land. In 1965, the company that was established to handle the land affairs went out of business, and the Canadian government repossessed all of the land. 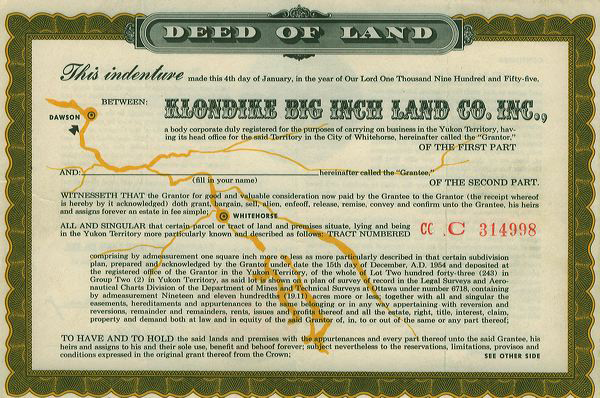 Apparently thousands of supposed “land owners” still write to officials in the Yukon, inquiring about their property. This entry was posted in Cereal, History and tagged 1955, land, Quaker Oats, Yukon. Bookmark the permalink.